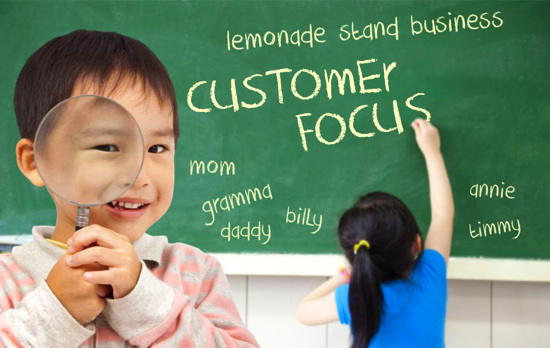 Whose job is it to focus on the customer in your company? If you didn’t answer your entire employee base, then you may be missing the boat when it comes to customer experience. 2015 Is “The Year of the Employee,” as declared by Bruce Temkin of the leading Customer Experience research firm Temkin Group. The emphasis is that customer-centric cultures are the main ingredient for customer experience success. You may have already started your work in shifting employee mindset to focus on the customer. But, this transformation is no “quick fix”. The bigger your company is, the more monumental the task. Just when you think you got the ball rolling, you’re likely to find you’re merely inching a heavy boulder uphill, barely keeping it from sliding back. Some early wins are possible. You might find initial adopters in those who work in direct contact with your customers. For example, the front line employees (such as the support and services departments), know who the customer is and may already be fostering relationships. As service leaders for your company, they’re apt to jump on the bandwagon and help you in your efforts. Far line employee may offer more resistance. These employees are removed from direct contact with customers. In fact, they may not know (or care) who your customers are. To be fair, their job is to serve those who are on the inside of your company. They support other departments, who in turn support your customers. By that token, they may feel that their only “customer” is the department’s employees with whom they directly work. Following this same reasoning, they may be defensive about the new focus and resent being given yet another boss; another layer of customers that demand their attention and concern. Customers have more choices today than ever before; they won’t hesitate to walk away from a relationship with a company that doesn’t offer great experiences. Strong brands that deliver high customer experiences increase customer acquisition and retention, boost profits, gain a greater market share, achieve a competitive advantage, and enhance shareholder value. Companies like these are driven with customer-focus at their core and customer needs are central to the way they do business. They’ve proven that it starts with the heart of the organization – employees. These great brands have shown that reaching this goal is only achieved when employees focus on and empathize with their customers. Through those efforts, customers learn to trust, love, and advocate for these brands. Make sure that your top line, executives and upper management, are on-board. Don’t skip this critical starting point; it’s essential to success. As Bob Thompson noted recently in What is the “X Factor” in Customer-Centric Success?, leaders matter. Since this is a change in business strategy, your leaders will need to walk the talk. Create a Customer Advocacy Team to lead the change efforts. This is a cultural transformation across all departments, so the composite of this team should reflect that. Communicate your customer experience and customer focus goals to all employees. Be clear as to how this change will help your business so that employees understand why they should support this effort. 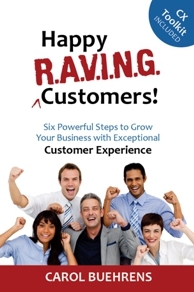 Train all employees on customer experience and customer services. This investment in human capital is necessary if you want to create an environment in which great customer experience can take place. Connect the dots for employees. Help each department understand their connection to their customers and how their decisions ultimately impact them. Emphasize your commitment with all new employees during orientation. They should have no question about the importance of customers to your company’s success. Keep the customer focus alive. Start meetings by explaining how the project will help your customer. Provide customer-centric messages throughout the workplace to visually remind employees of their commitment to customers. Post customer stories on your intranet and enrich the program with continual communications. Operationalize customer experience throughout the organization. Embed in business processes, align workflows to the benefit of your customers, and make sure the daily focus is on the success of your customers. Reward employees for their efforts and highlight successes. Spotlight employees who model the behavior you want – their focus on exceeding customers’ expectations. Add customer experience goals to merit reviews. Hitting your employees in the pocketbook is a surefire way to exemplify the importance to the success of your business. Image purchased under license from 123RF Stock Photo.